Empirical Style » Empirical Syle » Light Bulbs » (P) Mini Bulb, new style, screw in pk 6. (P) Mini Bulb, new style, screw in pk 6. Welcome to the Edison pencil, a long thin edison vintage style globe. Beware of cheap imitations!!! These bulbs last for 5000 hours, not 1000 hours like other bulbs that look the same do! 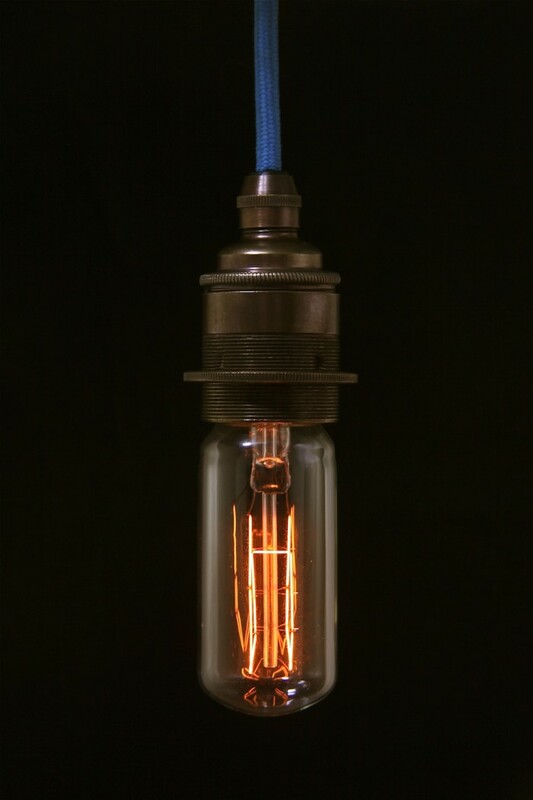 These Reproduction Squirrel cage filament Thomas Edison airship light bulbs are here and they are COOL!!! Based on the narrow light bulbs of the past , the bulb has a strong pencil style with a squirrel cage interior. Ideal for cafes, restaurants, hotels, period homes , theatres and your place they look and emanate light that is warm and inviting! These bulbs are 90 mms in length and 36 mms in diameter. 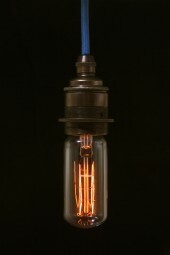 These are the extra long thin bulbs and have a slightly different shape to the 4 other vintage antique styles we offer.